Live Chat has taken over the internet, with more businesses than ever using Live Chat to interact with their customers and increase sales. Through an explosion of low cost live chat applications now being made for the market, even the smallest of businesses can add live chat functions to their website with minimal cost and time commitments. When a customer is looking at your business website, through live chat they can connect with you without having to pick up a phone, wait on hold or send an email and wait for a reply. They can choose to initiate the chat on their own, or through the live chat prompting them to make contact. Through this efficient method you have increased connections with potential customers and fast resolutions can be reached through the medium. Live Chat is the easiest way to connect with your customer. Unlike phone or email engagement, Live Chat is inherently viewed as more casual and more akin to speaking with a friend, than an official business. This allows the customer to feel more comfortable asking questions and to share exactly what they are looking for. With many live chat applications also allowing you to see information on what pages they’re viewing, how long they have been on the website and more, you can tailor your responses to maximise the chances of converting the lead into a customer. The best time to convert a customer is when they’re active on your website. With Live Chat apps they can be automated to popup and message new visitors within a certain period of time on a page, or when they’ve completed certain actions (scrolled down to a certain point, or been on a certain number of pages on your website). This can be tailored to maximise the chances of encouraging a customer to connect to the live chat and be converted as a customer. CN Marketing notes that through their integration of a live chat – they increased their leads per month by over 30%. The efficiency of live chat allows businesses, especially those who require customer support to greatly reduce their expenses and lower the average customer interaction cost. Internal customer support or external call centre operations allow an operator to only work with a single individual at a time and involve significant inefficient conversation points, whereas with live chat a single operator is able to work with multiple customers at the same time, or amongst working on other roles or aspects of their particular job. This also goes both ways, live chat allows the customer to also multitask – so they can contact your business whilst also attending to other tasks. This is a key benefit in making the connection to your business as positive and not a burden. Engaging in live chat with your website visitors and potential customers will help you understand their pain points. If you frequently find your customers asking the same questions, you can provide a solution which answers those questions before they get to the live chat function and increase your conversions of customers. For example – if you ran a local Adelaide tree removal business which also serviced country areas and were being asked if you did this, your website could be updated to note this and capture the audience segment faster with lower costs. Having live chat available allows you to capture the attention of a potential customer sooner, allowing them to reach the end of their decision making process before they feel the need to do additional research of compare your offering with your competitors products or services. Being able to interact with live chat with your customers gives them a level of piece of mind and can allow them to receive the right information needed to get the sale over the line. With the increasing need to be interactive with your customers to ensure a sale, having live chat functions added to your business website is essential to keep ahead of the curve and dominate your market. In one study completed 38% of customers who used internet websites to make purchases noted they used the particular website because of their live chat function make their buying decision. Live chat is now mainstream and customers are coming more to expect it from the businesses they purchase and interact with. Make sure that your business gives your customers and the immediate and personal customer experience that will keep them coming back to you. 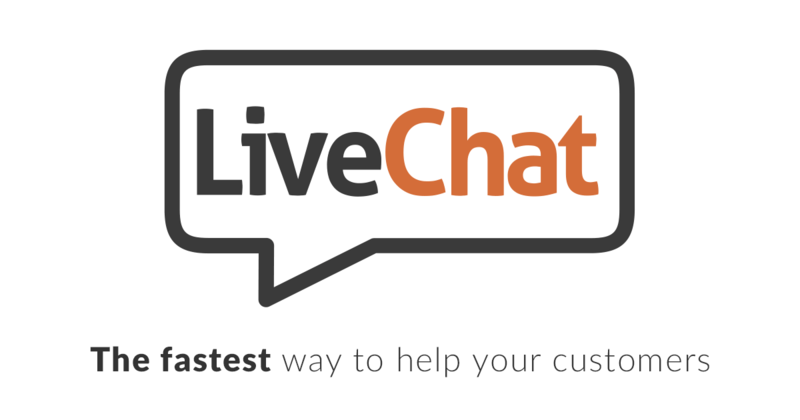 Need a professional to help you work out the best live chat app and integrate this onto your website? The team at ClickBurst are experts in helping businesses gain more customer exposure online. Contact us today to start growing your business.